ASGARD LABS launches D sachet. Vitamin D3 powder 60000 IU in sachets. 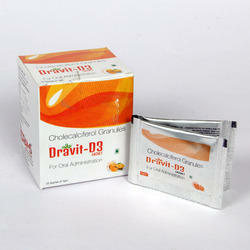 Being a well-established organization, we are engaged in offering a distinguished range of Divical-60k Sachets. - These capsules contain Vitamin D3 which is a common name of cholecalciferol. 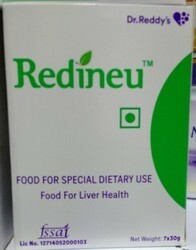 Specifications:• Composition: Cholecalciferol 60000 I.UUse:• Helps body to absorb calcium and phosphorus. • For keeping the bones strong. - Krislow – Coenzyme 100mg+ Arginine 100mg + Alpha Tocopheryl 25 IU Acetate +Selenium 100mcg. - Hizide – Lycopene 2000mcg, C 50 mg , E 10 IU , Zinc Sulphate 27.45 mg Capsules. - Hizide M - Lycopene 2000mcg, C 50 mg , E 10 IU , Zinc Sulphate 27.45 mg, Methycobalamin 1500 mcg Capsules. - Cholecalciferol 60, 000 IU Granules. With the aid of experienced team, we are devoted towards trading an exquisite range of Calcichew Sachets. We are reckoned trader and supplier of premium quality Cholecalciferal Granules Sachet.